Note for Steem readers: Recently, I sent the following letter after becoming aware of the City of Berkeley's plans to launch its own cryptocurrency and tie it with a bond offering. In my opinion, such a plan simply creates more debt. I explain in the letter how a Steem Smart Media Token (SMT) could be a better choice. 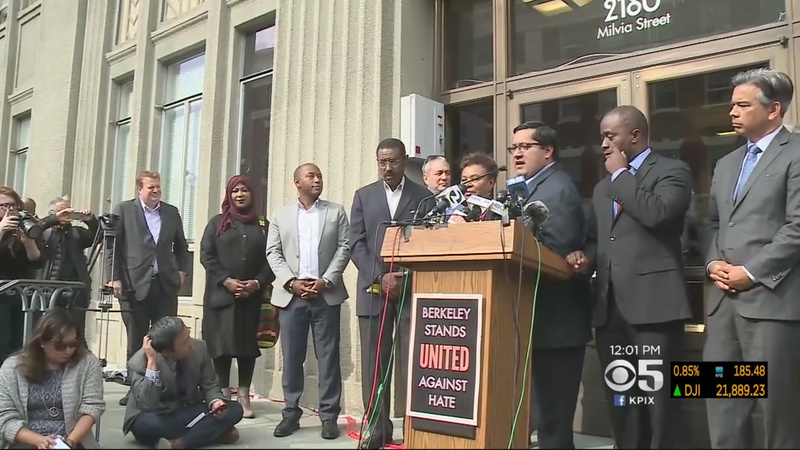 The mayor speaks at a unity rally in Berkeley. Source: CBS/KPIX. Thank you for allowing me to address the City of Berkeley’s plans to utilize a cryptocurrency. My name is Tom and I use the screen handle @donkeypong on the Steem blockchain. Though you may not have heard of Steem or its flagship site Steemit.com, the Steem blockchain currently processes about half of all cryptocurrency transactions, many more than Bitcoin or Ethereum. First, let me summarize what I understand of Berkeley’s cryptocurrency plans and explain why I think the cryptocurrency bond idea is deeply flawed. Second, I’d like to explain how using a Smart Media Token (SMT) from Steem would be a wiser choice, enabling the city to save a great deal of money and hopefully achieve a more vibrant, participatory community of Berkeley residents. Finally, I will invite you to contact the developers at Steemit, who stand ready to answer any questions and help get you started in launching a Berkeley SMT in the coming months. 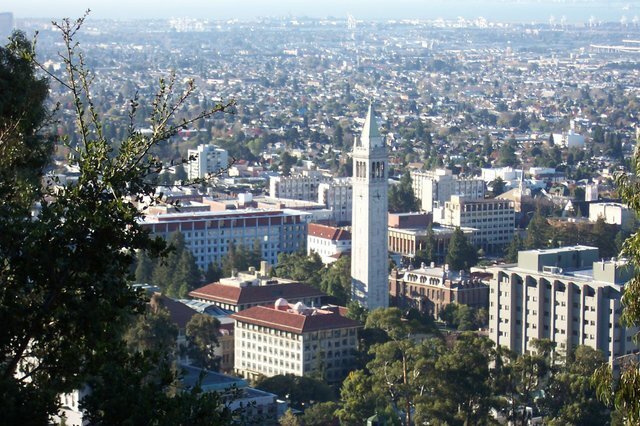 Early this year, several media outlets reported that the City of Berkeley was considering a cryptocurrency ICO in place of a bond offering. As I understand this situation, the city needs money to support affordable housing plans. The cost of living in the Bay Area is high and funding from the federal government for such programs has been reduced. While cities generally use municipal bonds to raise money for projects, bond offerings are extremely expensive and come with hassle and fees. They are not practical for smaller projects. So the city hopes to tokenize the bond and sell off small pieces of it to the community or to investors. An ICO is a not the right idea here, for several reasons. First, there are potential regulatory hurdles. 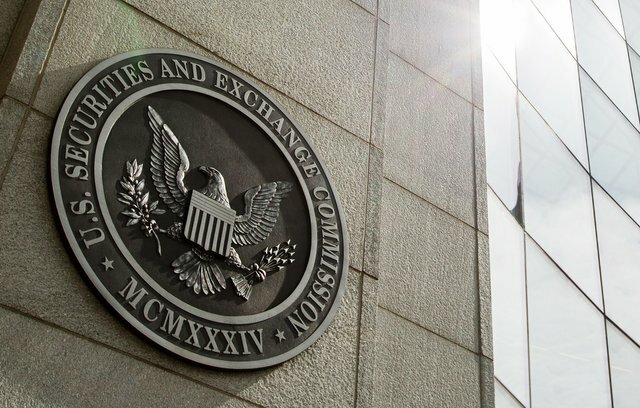 In the United States, the Securities and Exchange Commission (SEC) has made noises about ICOs needing more regulation, which has cooled the market for them somewhat. An offering for investors runs the risk of the token being labeled as a security. Other governments have discussed issuing asset-backed cryptocurrencies. Estonia is considering a crypto that would have several different potential uses, one of them being pegged to the Euro. Venezuela used a quasi-cryptocurrency backed by oil reserves. Many other governments from Seoul, Korea to Lafayette, Louisiana are looking at cryptos as well. Berkeley apparently would like to back its crypto with the bond somehow, or merely chop up the bond and tokenize each segment of it. But in the end, those are just smart contracts with some sort of collateral attached, collateral which could raise the eyebrows of regulators in the areas of securities, commodities, and financial instruments. Meanwhile, the collateral becomes a constraint when the truth is that Berkeley doesn’t need collateral to create a cryptocurrency. Sorry, buddy. You're not what they need just now. Why not eliminate the bond? The bond is a sanitized way to explain this instrument to the public, but it is constraining when better possibilities exist. The remaining issue with Berkeley selling its cryptocurrency is that it’s simply creating more debt. That may mean little when municipal governments are accustomed to continuous cycles of borrowing more money. But those bills come due at some point, with interest. For a city that’s already in debt with unfunded pensions and other obligations, the ICO would be another tool to borrow money. Berkeley has never shied away from being a trendsetter. What the city needs is a more revolutionary approach. What if a municipal government like Berkeley could create a cryptocurrency that DOES NOT incur a new debt because it is creating new value instead? Yes, there is a better solution. It requires you to think bigger. In two steps, I will show you how a Steem Smart Media Token (SMT) can solve Berkeley’s problems. 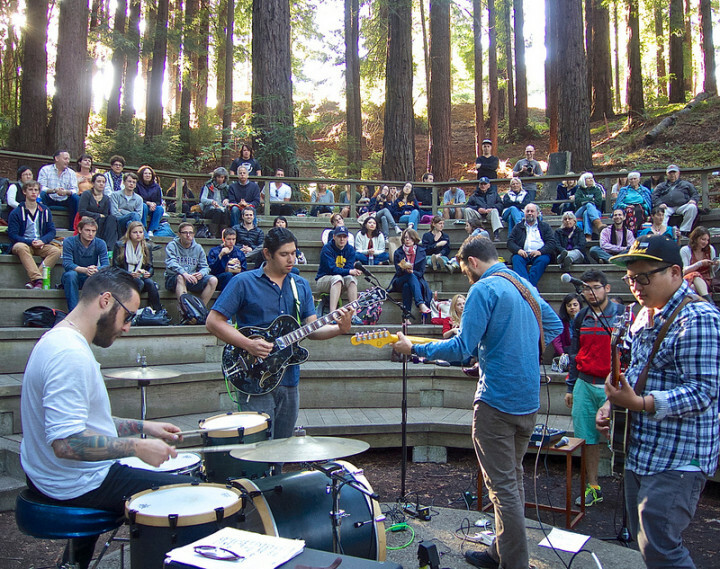 The City of Berkeley needs an online presence. I’m not talking about a website, which it has. I’m talking about bringing its community together through an online portal. In particular, I’m thinking of something like the site Nextdoor, where residents of a particular city or neighborhood and come together, interact, and read and write posts (“Free concert in the park this weekend”, “Does anyone know a good babysitter?”, “Warning: phone scam for seniors”). Facebook groups can accomplish something similar. Creating a portal to serve a similar function is not rocket science. 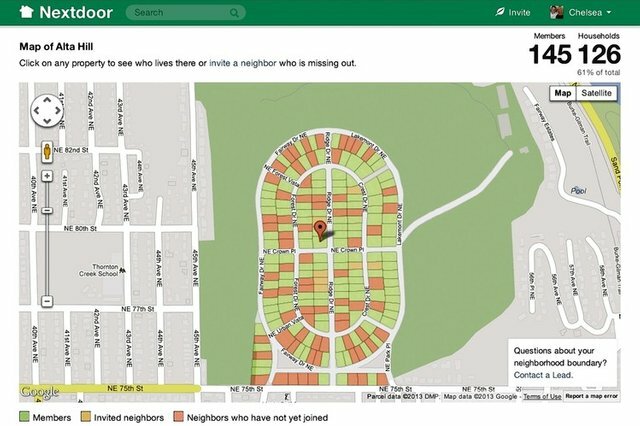 A screenshot from Nextdoor.com, showing that people in certain neighborhoods can connect with others nearby in an online community, similar to a local Facebook group. An alternative would be to build the Berkeley community on Steemit.com or another Steem powered site. It will take a few months for the full community features to become available, but the city can start building it beforehand. And using Steemit.com would save you the trouble of operating your own site; you simply would manage a community of Berkeley residents in an online Steemit-based community. Instead of creating a new own cryptocurrency, launch a Smart Media Token (SMT) on Steem. The barriers of entry are much lower with an SMT than for one’s own cryptocurrency. Berkeley could save itself the trouble of running and maintaining its own blockchain; let Steem handle that and Berkeley can customize its SMT’s parameters. Airdrop it to the city’s residents by giving a fixed quantity to each household that registers with a verified identity on the city’s community portal. Enable the SMT on the site and put an airdropped deposit in each resident’s account. Because there is no ICO and no investors, the securities concerns should nearly disappear (though I am not making any legal judgments here and encourage you to consult legal counsel for verification). Berkeley City Council. Source: Daily Californian. 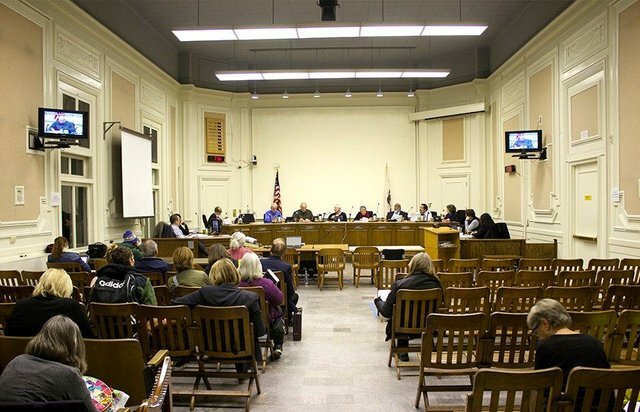 The Berkeley City Council can decide on its priorities with feedback from the community. These could include the Affordable Housing idea that some city leaders want to fund. If the city needs a new fire truck or a new baseball field at one of its parks, all of these priorities can be put before the community directly. Post these priorities online and give residents an opportunity to vote on which of them are most important (prioritizing the list). As they vote, they will be ranking priorities AND allocating funds to each of them. Berkeley High School students rallying. Source: Bay Area News Group. Over time, without incurring any further debt, the affordable housing (or any other priorities the city residents want to fund) will get funded via peoples’ votes allocating value to them. At the same time, residents will be able to vote for one another’s posts as well, providing incentives for people to consider what is best for their city and share information with their neighbors. In the end, maybe more residents will be able to afford housing not only because the city has micro-funded it, but also because they have earned more money through their own postings in the online community. Encourage local businesses to accept this SMT for products and services, perhaps giving them a tax break or some incentive when they do so. In the history of the United States, local currencies have played a big role in many regions. 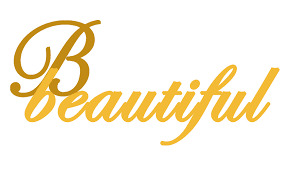 The more people use and accept this SMT as a currency, the greater will be its stable and lasting value. Berkshares from Massachussetts, one of the most widely used local currencies in the United States. 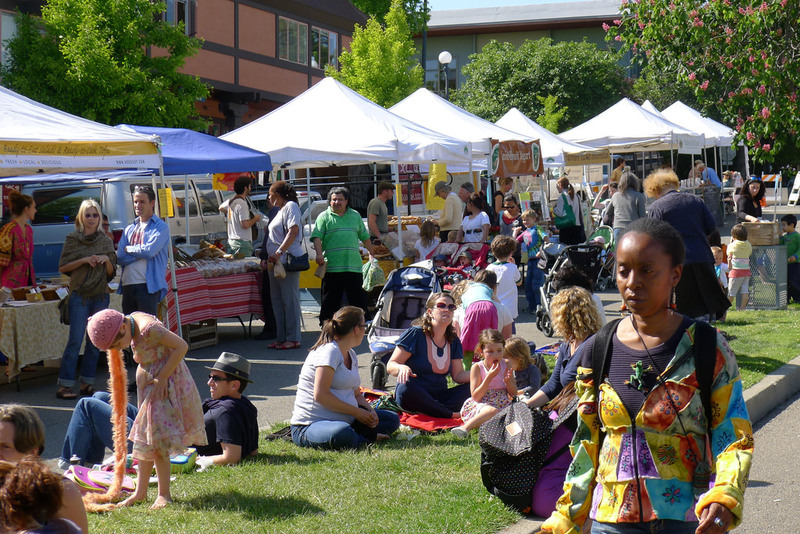 Berkeley Farmers Market. Creative Commons via Flickr.com by Jay Cross. Berkeley is a socially conscious city; its residents and businesses would no doubt embrace a local currency that operated by and for the people of the community. Such adoption would provide additional scale for the city’s SMT, which would be solving multiple problems at once. This token is designed to support and enrich the city’s residents, not borrow more money that their children will have to pay back in the future. I urge the City of Berkeley to consider creating an SMT. To see a practical use case for Steem, please visit the Steemit.com site. For questions and to learn more about SMTs, please contact david@steemit.com. Thank you and best wishes. This is the type of outreach that the Steem community needs more of. Imagine how many people would be introduced to the Steem ecosystem if Berkeley were to adopt an SMT! This is an exceptional and easy-to-understand letter that could be used as a template for everyone to send to their local council members! Exactly. I'd like to work toward more templates and form letters and talking points that we can all use to crowdsource some of this work. Yeah, if one were to modify this post a little, it could be used a template for many to use. Crowdsource the work and use the power of Steem to reward them for their contributions. I think this idea has some potential. That idea played in my head too after i read @donkeypong's open letter! Though that would have constitute some form of blatant plagiarism if without his prior consent. Imagine how many people would be introduced to the Steem ecosystem if Berkeley were to adopt an SMT! Imagine if any institute at all were to adopt an SMT!! Schools can bootstrap an online community through the use of SMT as a "science project" (I believe the internet was invented in a similar fashion), national/international NGO can adopt its use. Local community forums can adopt SMT and use ChainBB-like templates. They dont even need to adopt it. Just the mere mention of SMT may get people curious on what it's about and eventually dive the Steem blockchain rabbit-hole. I love it, here's my response. Nice article and thanks for posting it. I've voted and commented there. Simply wonderful, I hope your letter can reach the mayor. The way in which a SMT could improve a community is very interesting, i have never thought about it. The ICO system has not helped the citizens of my country. As a Venezuelan I have not received benefits nor the situation of the country has improved despite the fact that a lot of money was raised with the PETRO. At the beginning I thought that your explanation was going to be a little complex but I think it's simple and it goes to the point. I also think it was great that you showed the graph about the transactions, although the bitcoin network moves more volume, Steemit is the one with most transactions per day. Well, I sent it to the mayor also and mentioned that I'd post it here. So I hope they read it. Venezuela's experiment is not really a true crypto project, but I understand what they are trying to do. It would be better to find ways to help the people there, since I know you are going through a very difficult time. Sometimes, because of the success of cryptocurrencies as a financial instrument, people tend to forget about its volatility as well as the expensive nature of the control and management of the blockchain technology itself. It would be better for Berkeley to get a Steem Smart Media Token instead of launching a new blockchain. Steem is well poised to be of service to them. If we take the @ned's message two months ago about SMT, then it is something that would soon be a regular part of the steem blockchain. To be able to enjoy all the features that you, @donkeypong, have mentioned; transaction speed, community members being able to share information on the steem blockchain is something worth having. I also, looking at it from the steem blockchain angle, considering it a big benefit for both the blockchain technology as well as for steem to have a community with shared ideals, a political identity and financial vision come on the blockchain to exist. It opens the doors for more innovative usage of blockchain technology as well as give the technology more eligibility in the financial world. I hope the people at Berkeley choose wisely. Awesome things are happening all around. Very thoughtful and thorough comment. Thank you. What I've come to believe is that SMT projects need to grow quickly enough or have an existing community to ensure that they have enough economic scale. I think it could work in this implementation if people give it a chance. yes indeed. If it is implemented as proposed, there will definitely be communities built around SMT, even already existing communities will cash in on the opportunity not to talk of steem blockchained powered projects like busy.org, Dlive, esteem, etc. Creating room for diversification of interests and unique financial instruments built around the basic uniqueness of the steem blockchain is something that should be pursued and implemented as soon as possible. There is so much to be gained. SMT is really one of the great implementation in steem blockchain, it helps the individuals and the organization issuing their own token that are powered by steem blockchain, it's not only benefit the community but it also benefit the steem token to make it more valuable in a larger scale. Yeah! I agree with you. Awww, amazing! I don't know why but I'm deeply in love with cryptocurrencies (if you hadn't guessed by my name). I love this move and I hope that Berkeley gvt. will take a look at this and consider it seriously. Not only because it is convenient for the many reasons that you explain in your letter (some of which actually amazed me, since I didn't know a lot of what you mentioned, surprising my Steemian heart with its ignorance and giving me new reasons to start researching), but because any official take in the matter, especially by a city in the US, would give the Steem blockchain the validity that it needs. If one or two of these municipal governments are visionary enough or crazy enough to try this, it could open up a whole new sector for SMTs. You are right... People who do not want to participate in the communal process could also sell their influence. THE BIG QUESTION IS: when will SMTs be released???? Hadn’t thought of this but governance tokens might be a better use of smt than media! Maybe they should be gmt. Or maybe we should specialize a group of tokens as gmt after smt starts to be adopted! This kind of information that I really need to influence our government and investor in Indonesia to understand more about Steem and SMIT. 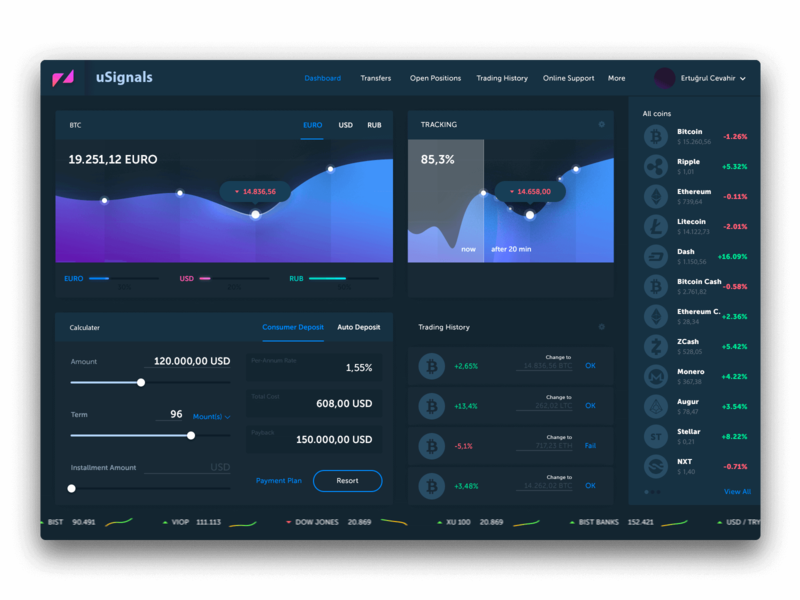 I know this is about the future investment but this is much better, and I also believe that ICO is good but it will not help that much the society especially where corrupt is still habits and I have so much doubts in it. I dont want people to get fooled again and again, we need a breakthrough that really consistent toward the changes for a better world and future. Berkley. that is where my path to the cryptocurrency began. I acquired my first crytocoin gridcoins via BOINC (Berkeley Open Infrastructure for Network Computing). Ah yes, BOINC is a great project. I think it helped people understand some of the possibilities. Wooow mind blowing sir @donkeypong if this letter will be open not just in berkeley but to all countries and cities and let those leaders know about steemit and if all will be give time to adopt and accept the importance of SMT in every area, tgis will be one step solution to overcome unemployment, and if everyone will be given airdrop as a good start then that will be great. In this form we can avoid people to be lazy instead they can be creative in all areas they belong with. Everyone can write, teach them how to post and if everyone will u.v each other as a support what a sustainable life they will have. Which i hope and wish every country here on steemit or community will do,which i know some already does but i guess not all doing it right or great. Sometimes i feel its unfair like the support that they intend to give is not given equally but only to those who they knew and lime already. Sad to say before our "bayanihan" give us u.v but all of a sudden many i knew was not given any more support. I don't complained for maybe they changed their value of core maybe u.v will be given only to those who wrote long blog and very good content but what about us who just wrote poems, and short post are we are not qualified anymore? I dont know if "bayanihan" really check Filipinos in steemit because the last time i check they u.v and resteemed some and i knew they u.v few poetry bloggers maybe its only there choice whom they like. How i wish they have curator in every category like arts, music, poetry, photography and they will do their job to help us small bloggers and be notices for our effort . Hope sir @donkeypong you can create open letters for us here in the Philippines especially directly to Sen. Manny Pacquiao for he also planning to launch his own PAC token. Looking forward for that sir for we wanted Sen. Manny will know about SMT and how steemit works. 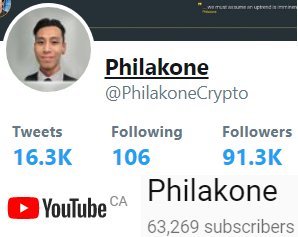 We will resteem and post it in other social media site to let him know about this great community, and hope to convinced him about steemit and he is agood potential investor in the future. Looking forward to that sir @donkeypong for u are a great power to write and you explained so good. When that time comes we will call you to talk about steemit to sen. Manny Pacquiao cross finger hahaha. God bless sir. Now im sure im reading it with a bias since im pretty much fanboying the Steem Blockchain (much like yourself i can say). But even so i must commend you on how you are able to boil the whole concept of SMT down to only the useful parts and "the stuff that works". IMO more people should learn to convey ideas and concepts the way you do, more people like myself definitely. I really do hope that the letter gets received and read by those in the City of Berkeley and the idea behind this proposal gets planted into the Committee. The victory here will be exposure of the SMT Tech to the masses via the open letter - if not the the committee in charge of planning the ICO itself. Also, talking on a tangent of this topic. IMO the public at large still fail to grasp the full concept of Smart Contract, or even plain ol' regular contracts itself. Which i feel may be a hindrance to the acceptance of SMT itself. Because what i surmise is that the media, "experts" and/or influencers will grossly misrepresent SMT as "Another way to do ICO". I really wish i can think, write and convey ideas in a way that you do. No doubt I have much to catch up with since Steemit is literally the first platform i do longform posts.. This is a great attempt! It can lead cities out of the depth prison into independence and about the value it can bring to Steem we don't have to talk about, it would be giant. I wish you the best success from deep inside my heart. A website and blog based on wordpress to promote Steemit. Indonesia is also still short of money for development. In February 2018, Indonesia's debt reached Rp 4,000 trillion or 356.2 billion US dollars. If Steem SMT can be a solution to finance development, then it is interesting to campaign it. The Open Letter Writing Contest with the theme: "SMTs solutions finance development projects in Indonesia." Indonesia juga masih kekurangan uang untuk pembangunan. Pada Februari 2018 utang Indonesia mencapai Rp 4.000 triliun atau 356,2 miliar dollar AS. Jika Steem SMT bisa menjadi solusi untuk membiayai pembangunan, maka menarik untuk mengkampanyekannya. Kontes Menulis Surat Terbuka dengan tema: "SMTs solusi membiayai project pembangunan di Indonesia." That's a relly interesting approach for the city. Sometimes, local governments do not realize the potential they have if they find a way to link their citizens' opinions, the local economy and the city needs. Most of the time, they want to "control" the whole solution instead of taking a much faster, cheaper and smarter approach using a tool that already exists. SMT's are a great tool and we still have to see all the different solutions they can provide. Just running a small test in one of the city areas would be enough to go for a pilot, get quick results and have a clear idea of how a citywide token could be run. You can just use the pilot to ask citizens for ideas and to vote for them before deciding how to implement. And you can do that even without launching your SMT, just using Steem as it is right now. It will be very interesting to see if you get a response. Thanks for the post! They definitely need to understand that the future is more responsive and participatory direct democracy. The blockchain can help with that and this would help us get there. Yes, they could set something up now and Steem-power it as a test, then plug in SMTs when those are available and broaden it to larger groups. Hello, I really hope the mayor can read your letter because it is really interesting and simple. I have a question and a clarification. How can you include the elderly and people without any knowledge in cryptocurrency? I think the biggest challenge is that, the inclusion of people who are not friends of technology or do not know how to use them, there should be a training program and good user support. The explanation is that the Venezuelan Government used the whole petro theme as a great money laundering machine since only a dome of people has access. to buy a petro you must have dollars because in Bolivares it is impossible to obtain them and much less to mine them, besides that no commerce in the country accepts that currency. The only purpose I see for the currency is to save your dollars with oil reserves of the state in a perfect way. Anyone can abuse a monetary system if they have control of it. But I hope that some governments will care more about involving their citizens and do their best to address the issues they raise. A good part of the economy is moving past people who are not locked into technology, so the answer is to help most of them get online and involved, but also be sure to provide allowances for the fact that some will need other, more traditional means of communication and participation. Tom this post just blew me out of my seat on the couch here with the laser focus on an exact current issue, a clear case for using a Smart Media Token, and one email at the end to provide a clear point of contact! I hope readers are taking notes on how to make a post that adds massive value to Steem with the potential for wide sharing on social media and even in press while sharing the opportunity with Smart Media Tokens. To give further validation what you are saying about why an ICO is not the ideal choice, I just found an article explaining the cost at https://steemit.com/blockchain/@quantalysus/costs-to-launch-an-ico which for the city of Berkley certainly would be even higher maybe into the millions of dollars just to launch it versus being nearly free on Steem with a SMT. I will be resteeming your post soon with the hope a few of the readers here will learn from what you did here and create more posts like this! The creation of the community where all citizens can register and share their thoughts and opinions is great. They can be promoting each other’s growth while building the community together. Even better when the local business start ya accept the token for goods and services. They would be creating a cohesive ecosystem where all parties get to benefit and be part of the long term growth of the community at large. No borrowing, no debt, just positive growth and harmony together. I have a little knowledge about government's bonds, mutual funds, stocks and etc and I wonder how will this end, monetizing such things thru SMT and content materials, community, and paticipation. It is close to lending kind of smt with different approach. Did you write and send something formal about this letter to the Berkeley Council, Tom? This post is what I sent them. You don't need to understand the lending; the understand that they don't need it if they use an SMT effectively instead. Ballzy letter! Definitely will be interesting to see what happens! I imagine should u obtain a response you’ll post those results too!? Crypto can definitely help some of these failing fiat econmies reset. And as far as SMT’s go... probably a way better choice then current popular ico/etherum based tokens! Good for you taking the initive Tom n reaching out to the city with such an informative... i guess proposal would be the right word! Cheers, hope you get a favourable response soon! Yes, I agree. Most of them will take a while to come around to tokenizing, but if we can get a few who are either forward-thinking or crazy enough to join us, then it will inspire others. 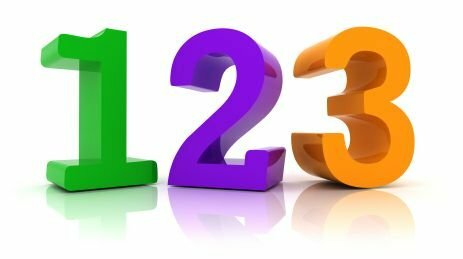 I have read first quarter and it seem interesting...your post certainly deserves reader's more time and attention..
An alternative would be to build the Berkeley community on Steemit.com or another Steem powered site. I didn't knew that steem blockchain processes nearly half of the crypto transactions...That amazing!!! Wow you have two great ideas for getting the City of Berkeley to get on Steemit. I agree they don't have the technology to do it themselves and they need to join the blossoming Steemit community. It will be good for the residents to interact with each other on there. The letter you wrote to the City Council is very noble, but may go unread. Only time will tell what they will decide to do. Yes, they will create even more debt. They just want to kick the can down the road more, hopefully nobody falls for it. 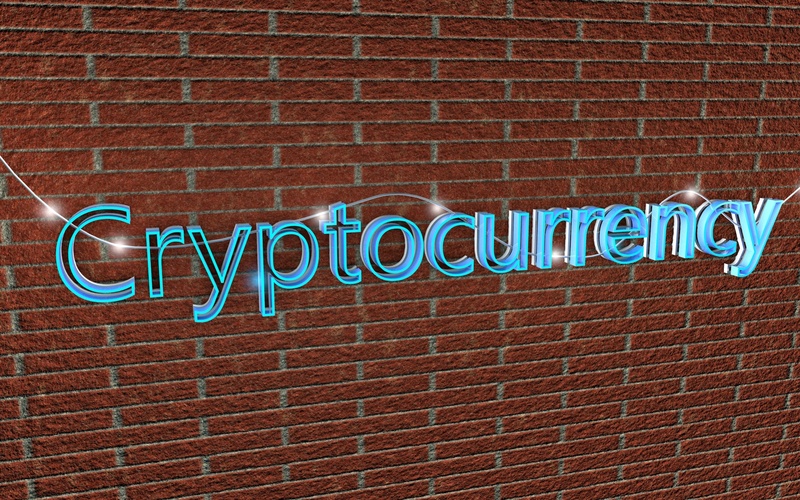 It takes a lot of information, educating citizens about the cryptocurrency, having automated systems in case of becoming a sub-currency of the city, with which you can make payments for products, etc. Maybe it would give much more value to the currency, and always keeping decentralization. How would you get the City of Berkeley to adopt your idea as described above? Getting them to actually adopt SMT may be the biggest challenge. most of the platform that launches its token (ICO) tends to make a failure, the SMT technology is more reliable, I am Venezuelan and the government has launched the cryptocurrency PETRO seeking a salvation to the economic crisis that we all Venezuelan living including myself. . the petroleum started using the blockchain technology currently the Venezuelan can buy the currency with local money. @donkeypong, Absolutely very interesting to read, recently being successful proposal posting here. I take a time for long reading and I see only summery here now and wait to learn much after commenting. You show here as your proposal letter against Berkeley’s problems, how a Steem Smart Media Token (SMT) can solve Berkeley’s problems. Both two steps seriously can agree for them and every steemians accept. You show here, transaction on the most active blockchain via nice analyzed chart. Yep..Steem is most active and currently it passed over $3 and wait to up more. Everyone said here, after launch SMT surely steem will be awesome and price will be rise. I agree with it. The remaining issue with Berkeley selling its cryptocurrency is that it’s simply creating more debt. Sure...I see you mentioned debt problem from these letter very nicely and how to understand easily. Berkeley proposal has more issues. Great article! I never thought that SMTs can be used in such different ways. It would be so cool to have a separate currency. People will understand the power of blockchain and how amazing is this revolutionary technology is. I wonder when this type of wonderful projects will come to India. I would love to have a separate currency of my own region. "In the end, maybe more residents will be able to afford housing not only because the city has micro-funded it,"
I particularly admire this part. Probably it's partly because I've passes through terrible things in search for a suitable housing here in California. Coming from a low socio-economic status family, I have been subjected to inhumane conditions and jobs right from a tender age just so my family could afford an adequate housing. Currently, I teach in 3 different schools and I still work as a mail delivery person-a job a little bit weird for a woman as evidenced by the looks my clients give me. Most of my income goes into housing for the family. This is the reason I particular appreciate this point. Saya bingung tentang apa itu "smart media toke" ? Serta, dimana saya bisa mempelajarinya ? @andi.satria.hrp, saya akan bahas itu dalam Serial Panduan Steenit, sabar ya..trlalu panjang saya jelaskan dsn. Sementar coba baca link https://smt.steem.io/, brade bsa minta asistensi google atau tmn dulu, dan saat saya bahas SMT nanti, akan lbj mudah dipahami. Salam sukses. @donkeypong, I tried to explain to @andi.satria.hrp that I will make a post that can help him to get more understanding on SMT and I asked for him to visit the site of SMT. He can be assisted by GoogleTranslate or asking for his friend to translate them for him before I write about SmT. I think you understand well what he wrote in Bahasa. I read your current post and I do believe that your wise explanation in the open letter will make the mayor of the city get the point on the excellent of SMT. Thanks. Great post! How awesome would it be if Berkeley really did use a Smart Media Token!!! Which I definitely thinks the Berkeley government should know the right choice now. I am guessing, after reading your article, that Coindesk's article would have had 1% factual information and 99% opinion. Bond instruments do not need to be tokenised. A token backed by a bond will be termed as a derivative and frankly it isn't backed by anything. 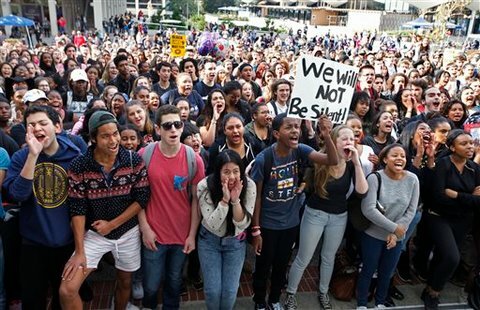 Also, Berkley, I am sure, is looking for millions of dollars worth of funding and they would want it in one shot. Not launch a smart media token and wait to raise funds through an upvotes - I couldn't understand how else will they raise money. Also, why will they keep reading millions of comments when they were elected to decide the best route for the citizens. I mean I am sure they have more work than to stay online on steemit all day and who decides whether those upvoting have any data to back up their votes. 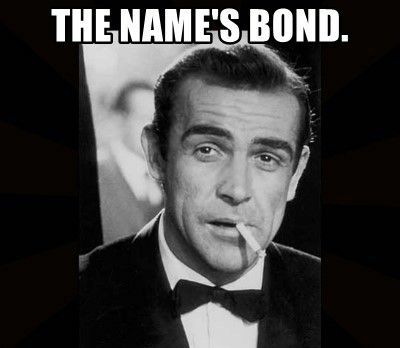 Lastly, bonds are already tokenised in the sense that you can buy $100 worth of bonds if you wanted to and such bonds are classified as retail bonds. I doubt coindesk put any thought to their article. this article seems to be from La La Land. Actually, if you read the article, they want to start small, and bond offerings are too expensive for small needs. La la la la la. I don't agree with a word of it, but thanks for the comment. Excellent information @donkeypong friend, I really had not read a publication as complete as this, all the key points in this post are perfectly understood. That's why I come to your blog because it makes super informative and important publications, everything that has to do with the cryptocurrency is very important since that currency is basing many things, and even steemit. Thank you for the great information my friend, on the subject I do not have much knowledge but I know that by continuing to observe your post I will be learning little by little about these topics so important for everyone. Thank you again for such a good post, I wish you many blessings and greetings from Venezuela. a very useful, useful and enlightening topic. And I always look for it, I wait for the next topic, thanks for giving something valuable .. :) regards. Manny Pacquaio is starting is new cryptocurrency name PAC token and as a senator in the Republic of the Philippines, he is also backing up cryptocurrency in the country. If somebody can bring this idea to him, I wonder if he would not change his mind. I had this idea before to create a team to visit Manny Pacquiao and invite him to Steem Blockchain. This was few months after I joined Steemit. I believe doing this now has a greater possibility that we could bring him in because his mind is already open about cryptocurrency. there have no dout its i.e Steem Smart Media Token (SMT) is a higher Choice after Cryptocurrency .because of it help to personal token of steem.really a great informative post. Right now every ICO uses ethereum for their sale and it is not as fast as steem. Steem can process the transactions in no time and its capacity is very huge. After SMTs launch every ICO will use SMTs for their projects. We just hope that SMT launches very soon. We already friendly with social media and the walking on steemit Platform is any stress for me .That is my simple thought . How SMT is I am learning for clear vision. Basically, I really agree with SMT. Followed by the ideology of democracy, the SMT ecosystem will be stronger. However, the democratic system will be destroyed if its human resources are not good. Same with the SMT system, SMT will not work properly if humans are not smart enough. I think, sir @donkypong (Mr. Tom) need to explore the readiness of human resources Berkeley city. Forgive me, if my understanding is wrong. Warm regards. 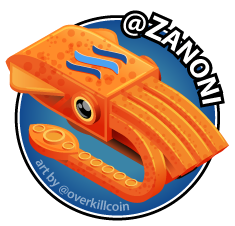 hello brother was not aware of the existence of this local currency thanks to its content I could see that there is a local currency which is gaining value. I agree and the cool thing about Smart Media Tokens is that it can be easily adopted by any platform, especially those with a large database and imagine an person like Paris Hilton adopting this system in rewarding her large followership base. I spent hours reading the smt pdf whitepaper and even more time trying to simplify something already simplified. It can be related to an app like steemit chat, rooms could be created and regular commentators will be rewarded with a steemit chat token. #trx more news coming within few days. So buy #trx at current price. Sell Target 700 satoshi. ...But those bills come due at some point, with interest. For a city that’s already in debt with unfunded pensions and other obligations, the ICO would be another tool to borrow money. 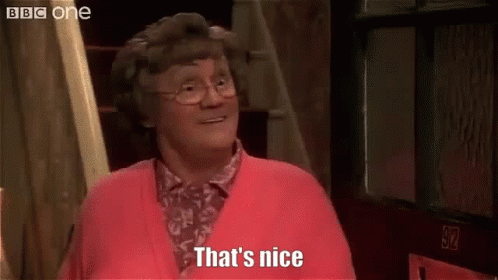 nice to see your post. thank you for sharing about steem is the most active blockchain. hopefully it added value to our own steem. God bless! I don't like the idea of SMT's, but I'm all for you guys pumping the price up for the rest of us! 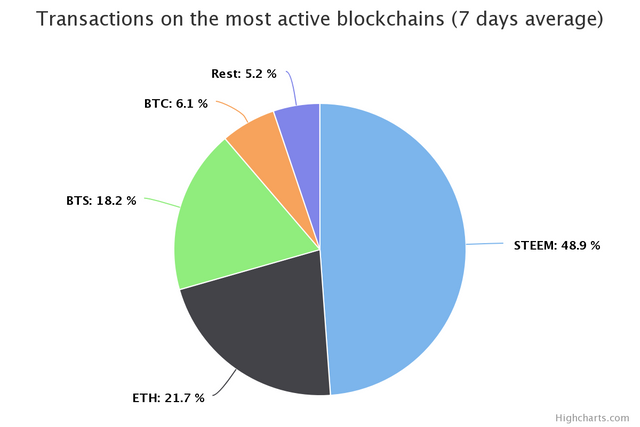 Steem blockchain Transactions active that is almost 50 % . This is what we’ve been waiting for. We’re building an app and want to essentially tokenize it and allow people to make money for participating and creating content. We see a greater potential above and beyond the upvote feature. Absolutely adequate advice. Let's listen to your words. Otherwise, they will wonder how to payd the debt. Great. u know i think the security that based on blockchain cause of peace and fair division of wealth between the people of the world. I'll vote and Resteem. good luck @donkeypong. The point of Berkeley creating their own coins: so that they can print any amount they want. Just like the federal reserve notes and Tether. I am skeptical of good intentions. Create money from thin air. A lot of problems humanity find ourselves in would have been avoided with a better plan and wisdom. With every evidence you have been able to put together to back your point, I think the government of Berkeley should give it a thought. Don't create problems for the coming generations while trying to solve the present problems. I know the government want to do anything to ensure they solve their problems, but it shouldn't be by creating another. Thanks @donkeypong for this beautiful piece, I do hope that it is considered by the government of Berkeley. Nice post. I appreciate you @donkeypong. Pls. Help my career. I will resteem all your post by upvoting my post. Tnk you. Hi! @donkeypong I just upvoted your post followed you ➡. Please do same so we can help each other succeed. Thanks! I feel in love with your post, what a good job to gather all that information, and clarify in such simple words well done! This excellent post and as information for steam, hopefully this steem teru develop! A great alternative is to build a one-city community on Steemit.com or another Steem-supported site, although it may take a little longer for the full community feature to be available as you say but the city should still start it. SMT Airdrops, that is an awesome idea! Instead of buying something without a prototype. that's all I can say, because I'm not good at english. you have points that SMT is a good decision, I agree with you @donkeypong I also believe that smt has a great future. To create something new it will not be immediately perfect. But for the idea has been very unusual. It's good to have to learn first and deliberation. Therefore it will be for the life of Berkeley society. Because it is possible in cryptocurrency there are still shortcomings in practice. @donkeypong, this is a very wonderful advice, and if some other governments and cities around the world would borrow a leaf from this open letter, so many world economies would improve. I just hope the Mayor gets this letter and also see the wisdom in this suggestion. Interesting template for how SMT can have local and national policy effects. Could a SMT like this be better than a smart city? I like Steem, Bitcoin, Bit Torrent, Ubuntu, and hope for the best for new technologies, like these, over Google, Microsoft, and smart cities, and smart cars, and smart houses, and more. I'm Oatmeal. I haven't used savings, sorry. But it probably takes 3 days to unlock and then withdraw.